The Carolina Wetlands Association is proud to announce our 2019 Wetland Treasures of the Carolinas. 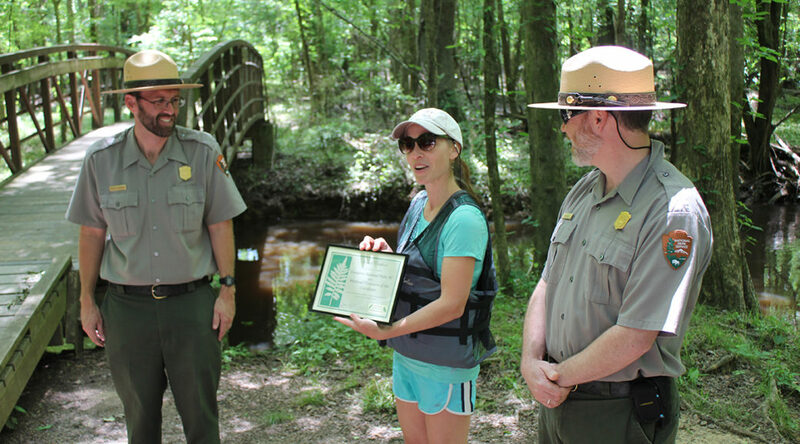 Through the Wetland Treasures of the Carolinas program, the Carolina Wetlands Association seeks to increase public awareness and appreciation of wetlands, and generate community pride in and commitment to stewardship of wetlands that have regional, national and even international importance. The 2019 Wetland Treasures are located in both North and South Carolina and are found in the Coastal Plain, Piedmont, and Mountains. These wetlands sites are importnat to protecting biodiversity, are ecologically high-quality, and provide significant ecosystem services. Unique Feature: Created 190 years ago, a coastal pond and southern swamp forest mingle, creating one of North Carolina’s rarest ecological communities. Unique Feature: Once a rice plantation, this reserve provides essential habitat for many species of wildlife. Unique Feature: One of the last remaining, relatively undisturbed, large Carolina bays on the Mid-Atlantic Coastal Plain. 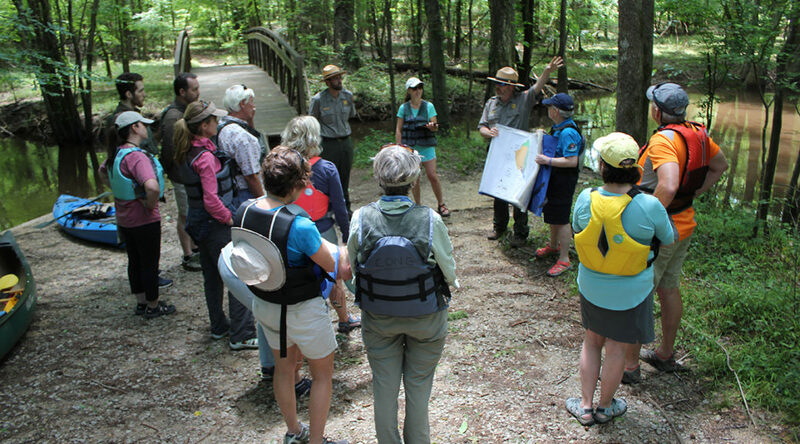 More information about the Wetland Treasures of the Carolina program including factsheets highlighting each site and directions on our website. Stayed tune for more information about field tours to each of these Wetland Treasure sites in May and June. Minutes away from humming highways of Myrtle Beach and surrounded by the bustling urban development of Horry County, a natural wonderland and oasis flourish at SCDNR’s Lewis Ocean Bay Heritage Preserve. 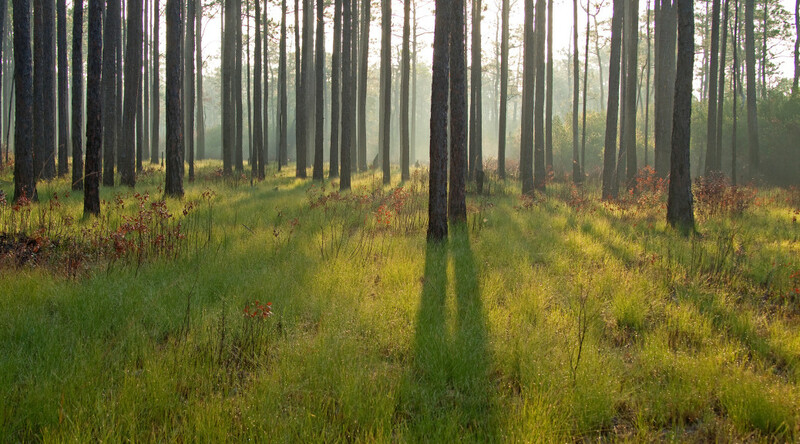 The 10,427 acre preserve protects Carolina bay/longleaf pine ecosystem complex that contains South Carolina’s best assemblage of Carolina bays. 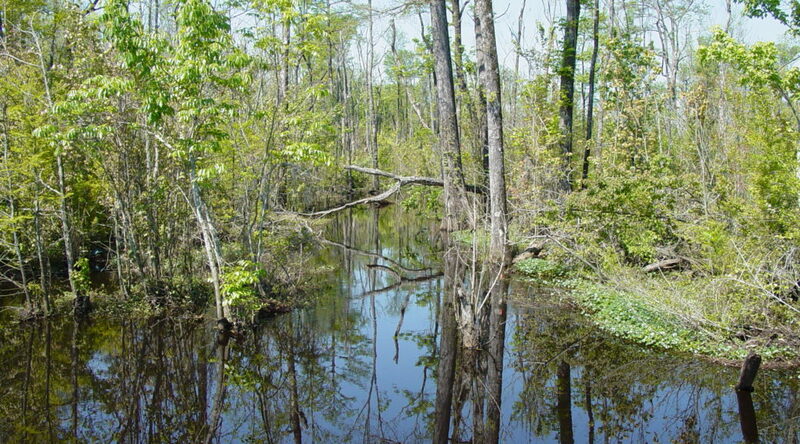 The preserve is linked via several swamp corridors to the Waccamaw River. These isolated wetlands provide essential food, water, cover, and space for many species, not to mention providing ecosystem services to the surrounding urban interface including flood mitigation, clean air, and recreation. This preserve not only provides wildlife viewing; it also provides hunting opportunities for the public. This is a fire-adapted ecosystem and prescribed burning continues to play a major role in shaping the ecosystem today. Fire favors herbaceous plants such as fly traps, pitcher plants and native orchids. The preserve is home to several rare species, including Venus fly trap, savannah milkweed, pitcher plants and the federally endangered red-cockaded woodpecker. The natural lands of the Lewis Ocean Bay Heritage Preserve protect the water supply of nearby urban areas. The preserve is open to the public from one hour before sunrise to one hour after sunset. This is a great place to go for hike and a good place to view birds. Join us for one of our field trips in May. Click here for more information.